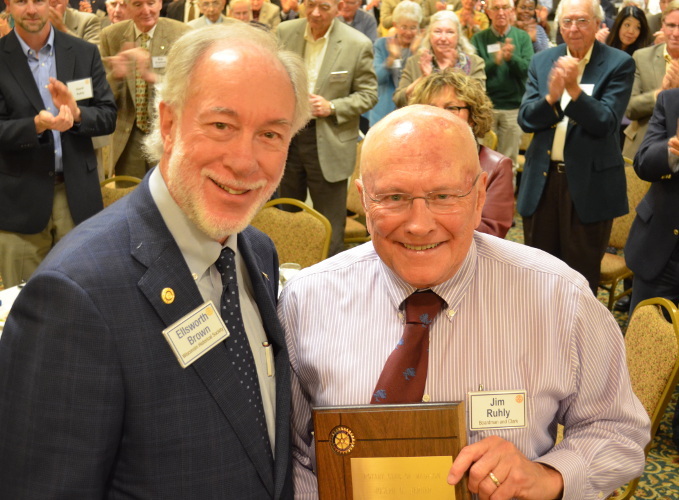 Those words apply as well to Jim Ruhly for this club has been “a primary focus of his life.” He truly is one of the most extraordinary members in the 102-year history of the Rotary Club of Madison. His service has been stunning. Since joining the Club in 1973, Jim has chaired the Fund Drive, been Sergeant-at-Arms, served as a member of the Board twice (1984–86, 1997–99), been president (1999–2000), has served on numerous major committees, been a member of the kitchen committee, and, remarkably, Jim arranged our weekly Club programs from July 2005 to July 2015. His community service has also been outstanding, serving on the boards of the Badger Red Cross, Big Brothers/Sister of Dane County (president), CTM Family Theater, the Madison Civic Center Commission, the Madison Cultural Arts District (chairman), Madison Opera, and United Way of Dane County, to name just a few. As the Werner Memorial Committee said forty years ago, such service cannot be rewarded; nor is there an incentive we can offer to induce such service over so many years. But we can offer this award to note a lifetime of service to this club, in the tradition of “Service Above Self.” Let us use Jim as an example for the rest of us of an exemplary Rotarian. 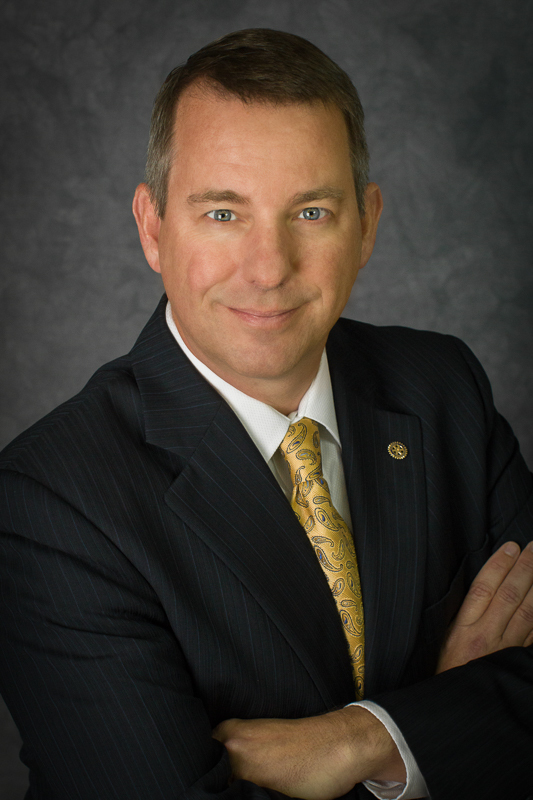 Jim Ruhly, thank you for your continuing commitment to Rotary, and congratulations on receiving our club’s highest recognition, the Joseph G. Werner Meritorious Serivce Award. 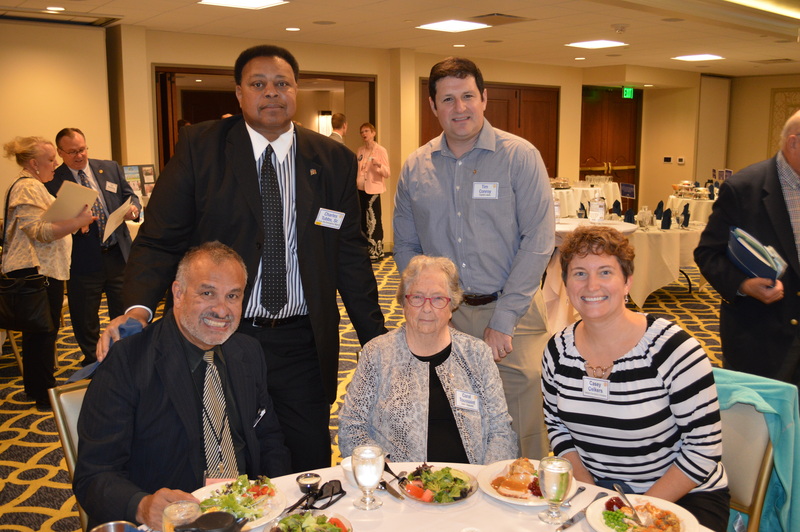 This entry was posted in Rotary Club of Madison and tagged Jim Ruhly, Joseph G. Werner Meritorious Service Award. Bookmark the permalink.